Exfoliating Dead Sea Facial Salts - for Oily Skin - 2 Months Supply Natural facial salts improve your complexion, refresh and firm your skin while leaving it thoroughly cleansed. These salts will infuse your skin with Dead Sea minerals while removing dead skin cells, leaving your face radiant, smooth and refreshed. Eliminates Bacteria and excess oil Exfoliates dead skin cells and pore clogging particles Revitalizes and refreshes skin, revealing a new, healthy layer. Stimulates facial skin circulation and tightens pores Directions: Apply salt to a clean wet face and massage gently. Rinse off with warm water. Follow with Adovia Moisturizing Cream or Nourishing Night Cream. Tip for Normal to Dry and Dry skin types: Although this Facial Dead Sea mineral salt were designed for oily skin, a long-time client of ours who has a dry skin type gave us a great tip which she works great for her. She told us that she mixes the facial salts with some olive oil and exfoliates that way with the combination of olive oil and facial salts. She said that she gets the exfoliating effect and the benefit of the minerals going in her skin, and her skin stays moisturized and smooth. NOTE: We also recommend for all skin types to mix these facial salts with our Mineral Cleanser which will create a gentle and thorough scrub. 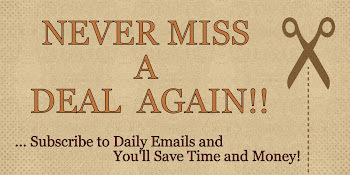 You can find that combination offered at a slight discount here. Exfoliating Dead Sea Facial Salts are designed for use on oily skin. The 2 months' supply of salts naturally improves the complexion, refreshing and firming skin while thoroughly cleansing it. The salts impart special minerals in the skin while stripping away dead cells to leave skin looking radiant, smooth and refreshed. Salts also naturally remove bacteria and excess oils, making them a great choice for oily skin types. To use, simply apply the exfoliating salts to a clean, wet face and massage gently. First off, this is a pretty large jar, they did not skimp at all. The jar I received was literally filled to the rim with dead sea salt.. Well worth the price! However, because of the container, it did make it difficult to use without making a little bit of a mess with salt all over the place. But, I just got a little scoop and that's been working great! The crystals were finely grind and very soft. They had no scent or perfume to it. I like that you can choose how much you want to apply, depending on how harsh or exfoliating you want your scrub to be. The direction are pretty easy to follow. For me, using the salt/crystals on their own was a bit harsh/rough for my skin, leaving my face a little red after use. I chose to mix the salt/crystals with the lather of my soap and that was perfect! I could feel it working, stripping away the dead skin cells, as I applied it to my face. I was amazed by how soft and smooth my face was, after I was done... My skin just looked refreshed and felt great! I have even used this product on my elbows and the heals of my feet and it worked too! I believe this product does what it says and I would definitely recommend it. 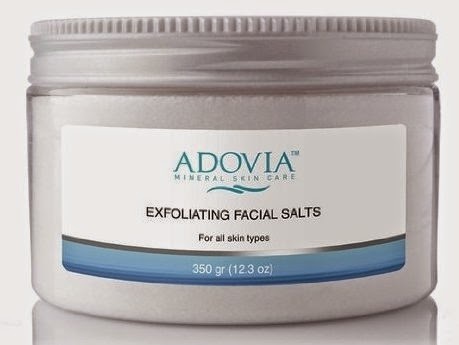 If you would like to try this out for yourself, you can purchase the Adovia Exfoliating Facial Sea Salts - Dead Sea Salt Exfoliating Crystals right now from Amazon!